With the emergence and rapid spread of Internet usage the world over, all kinds of information is at everyone’s fingertips. With the countless websites out there, it is important that visitors who arrive at a website choose to stay on and keep re-visiting. The importance of a website’s design and user-friendliness cannot be emphasized enough. As a result there are a multitude of opportunities for those who choose to enter the field of website development and design. Web development and design is the perfect mix for someone who is interested in a technical career but with a creative bent. A website’s design consists of the visual effects and elements that make up the look and feel of the site. It includes the graphic, technical and navigation related elements as well. Website development is the creation of a site using various tools and technologies, according to the design. The areas of web development and design are inter-related. By getting web development and design degrees, you can leave your mark on the internet by creating and designing new web pages. Web development and design degrees teach students about graphic design, web technologies, tools for creating sites and much more. Web design related courses cover a number of subjects which include marketing, advertising, communication and web design tools and techniques. Students learn how to use Flash and HTML. They also learn to use tools such as Dreamweaver and Adobe Photoshop. Graduates of web development and design programs will find career opportunities in a variety of different settings. Such experts can be employed at various companies and web design firms. Some choose to work freelance. These professionals work closely with clients to transform the clients’ vision into a website that meets all requirements while attracting visitors. The salary range for website designers lies between 30,000 – 50,000 US dollars, while website developers can earn between 38,000 – 62,000 US dollars. Q:What are the areas of study in a Web Development degree program? Q:Can Web Design Degrees be pursued with full scholarships? A:Yes. You can get scholarships and grants at most of the major universities and schools offering the best web design education. To get full scholarships, you need to retain satisfactory results throughout the academic period. Failing to do so may result in lesser scholarship or none all together. Q:What is the prerequisite to the Web Development degree programs? A:A relevant qualification and sound knowledge of IT is the prerequisite to the Web Development degree programs. The Masters in this course requires that you have a 4 years Bachelors degree in the same field to qualify. On the other hand, you may opt for the certificate qualifications, that don't require any strong prior knowledge, since initial web development courses can be understood by anyone with interest in the field. Q:What are the ECMA Standards used in the Web Design Degree program? Q:Is there a two year degree in Web Designing and Development? A:Yes. 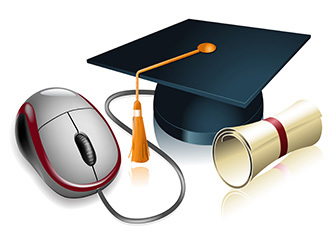 The two year degree in Web Designing and Development is called the associates degree. A bunch of associate degrees in web designing and development are being offered at the various online schools listed on our website. The Popular associate degrees in the field include: Associate Degree in Graphic Design and Multimedia, Associate of Science in Interactive Media Design, Associate of Applied Science in Computer Information Systems - Web Development, Associate of Applied Science in Web Design, and the Associate of Science in Web Design. Q:Can you list the names of accredited schools offering programs for Website Design Education? A:There are numerous institutions that offer degrees and courses in website design education. These institutions are accredited and their degrees have a lot of credibility in the professional field. The top ten institutions for web designing include Rhode Island school of design, Pratt institute, Cranbook academy of art, California institute of arts, and the University of Delaware. Q:What are the job prospects for students who graduate in the area of web design, or complete an accredited Web Design Training program? A:The different types of jobs that can be pursued by students who graduate in web designing and complete a web design course include the designation of a graphic designer, configuration manager, system tester, web designer, project anger, site administrator, and a system architect. This field allows plenty of room for growth, students can excel in their field as they gain more experience. Q:What are the degree programs offered at various web design schools? A:Web Design Schools offer several degree programs such as the Associate of Science in Web Design, Bachelor in Web Design and Multimedia and Bachelor of Science in Web Design and Development. The associate's degree takes about 2 years for completion whereas the bachelor's degree can be completed within 4 years of study. Q:Can the Web Design courses be pursued online? A:Yes. Students can get enrolled in distance learning programs that include web design courses. The online programs enable students to complete their web design education at the comfort of their home. Also, working professionals can easily enhance their career growth prospects by attaining degrees through the online medium. The online web design courses may help students get hands on knowledge regarding designing and developing a website, site management techniques and web-based presentations. Q:Which top online schools offer accredited home learning web design courses to students? A:There are a few popular online web design schools that offer home learning web design courses to students who cannot access campus classes due to financial or time constraints. Top online web design schools include: Devry University, UMass University, The Art Institute Online, Strayer University, International Academy of Design and Technology, South University, and Rasmussen College. Q:What are the different types of jobs a web development degree can get you? A: There are many different kinds of web development jobs that a web development degree can get you. The type of job will depend upon the level of education attained in this field. Associates degree and bachelor degrees will lead to a number of entry level jobs whereas master’s degree will lead to managerial and executive level job positions. Following are a few job positions that can pursued with web development degrees: Blogger jobs, freelance web designer, social media marketer, web community developer, e business site manager, and social media application manager. Q:What do students learn in Online Web Development Design Degrees? A:The course outline of Online Web Development Design Degrees has been designed to provide students with the complete knowledge of how to design web pages. Students enrolled in this degree program learn the basics of web designing, features of hyper linking, learn how to use web language such as HTML, apply graphics and advanced formatting styles, and issues that may arise in this field. Q:What career options are available to Web Development Design degrees holders? A:Students with web development design degrees can get hands on a variety of career opportunities including web administrator, web animator, web designer, or web developer. The career options available to professionals in this field are mainly dependent on their skill set, past work experience and the level of degree earned. Q:Can you tell me the course work of Web Design and Development degree online? A:Web Design and Development degree online has an extensive course work. You will get to study a number of topics. Some of these courses include, information design, logical & physical elements, introduction to frames, basic cascading style sheets, introduction to networking, element types & syntax, copyright & fair use and publishing via FTP. Q:What are the contents of the course on Business Law in the Web Development degree online? A:The Web Development Degree Online has dedicated course on Business Law. This course is of around 2 credits in total. It is structured to provide students with strong understanding of the basic level principles of business law that are applied to different contracts and corporate environments. Students are also given strong hands on experience in this course. Q:What are my options of getting a web design online certificate? A:With the rapid spread of Internet and in view of its immense popularity, a lot of schools now offer the degree of web design online. This degree program is ideal for students interested in a technical career with a creative niche. It consists of designing the visual effects and elements that make up a good site. Pursuing it online has made it easier for those who want to work full time while studying part-time within the comfort of their own homes and their own time. Q:Will there be more colleges offering a web design and development degree? A:Many colleges offer certification programs in web design and development and comparatively more than those colleges offering bachelor or masters degree. This is because there is more demand for certifications. However, this is not always the case and more and more colleges are offering degree programs in this field. Keep posted to this website for more information.